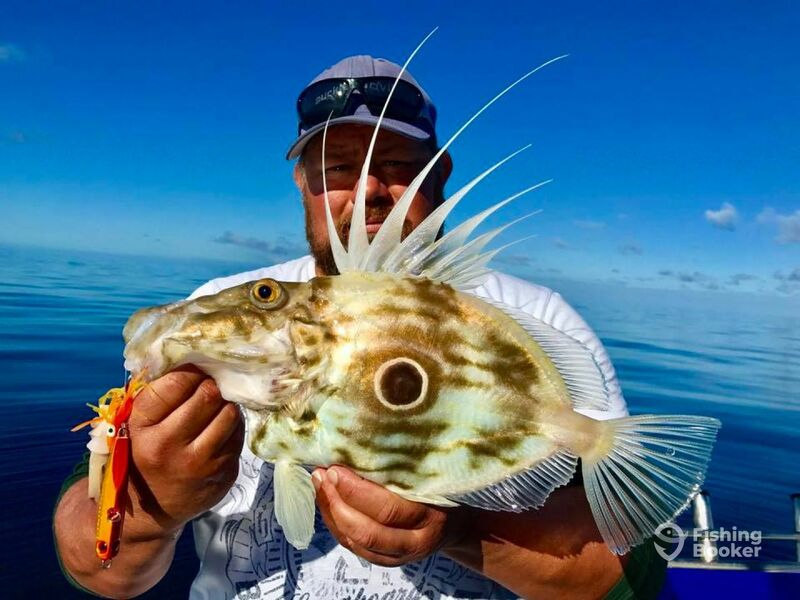 Specialising in high-speed, longer range charters, Ultimate Charters welcomes you aboard to dip a line in the rich waters of the Hauraki Gulf. 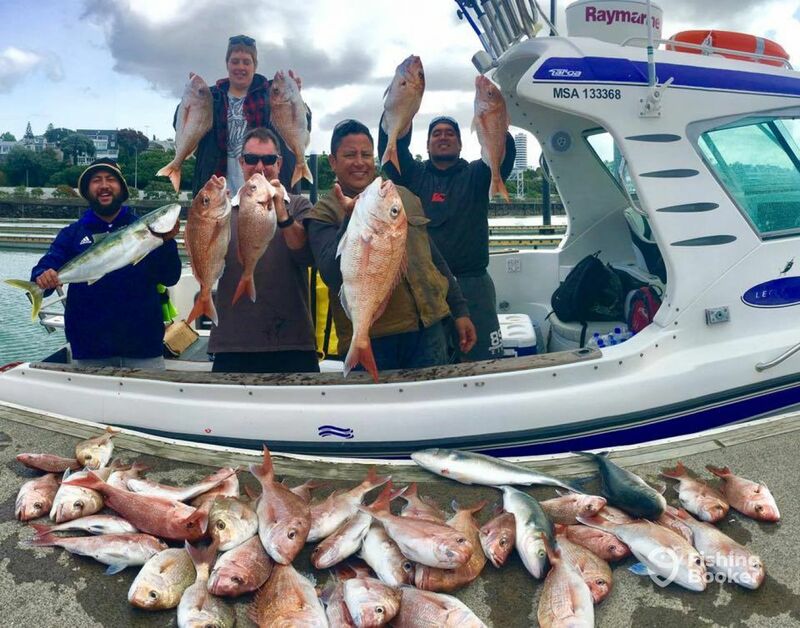 With a fast boat and an experienced crew, they’re ready to show you the best of what Auckland fishing has to offer. 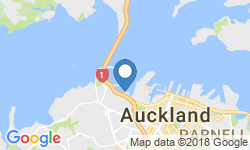 The “Blue Water” fishes both the east and west coasts of Auckland, with Hauraki Gulf being the main destination. 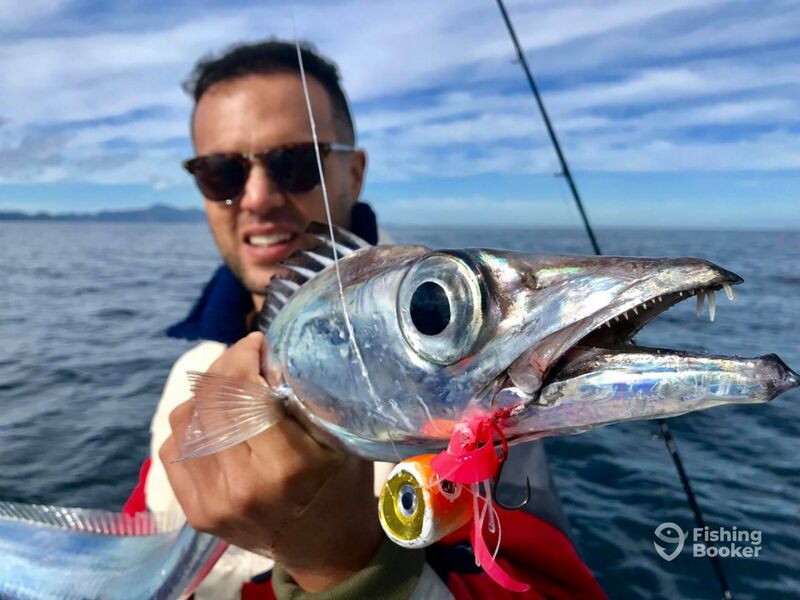 These trips provide a full “National Geographic experience”, as you traverse the same waters as hundreds of gannets, dolphins, sharks, and the odd huge Bryde’s whale. This is truly a sight to behold. 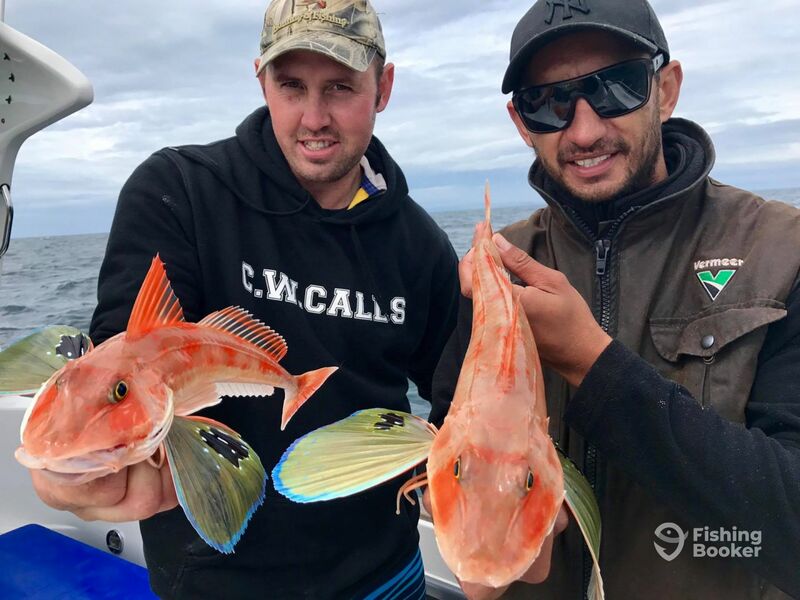 Not only do you get to experience nature at its most spectacular, Ultimate Charters also let you sample fishing at its best. Get used to everyone on board being hooked up at once! All this takes place aboard the “Blue Water”, a spacious and fast boat that gives a stable ride for up to 7 guests. Reaching speeds of up to 32 knots, she cruises at around 20 knots and can reach the offshore waters faster than most other boats in the harbour. There’s a private toilet on board, as well as some shelter and seating. 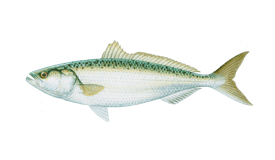 Your target species will depend on the season you’re fishing. Summer and Autumn are prime time for Billfish, with Marlin peaking at the end of the season. 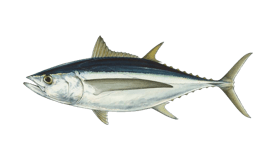 This is also a great time to fish for Tuna, while Yellowtail Kingfish are congregating around the reefs and Snapper are spawning in shallower waters in the harbours. Winter fishing is just as exciting. 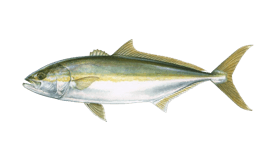 April to September is prime time for sardine workups, and it just gets better in spring and early summer. 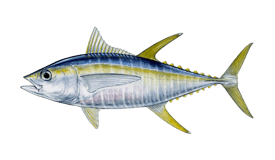 This is the time to come if you want to catch huge Snapper and Kingfish, as well as big Albacore Tuna. 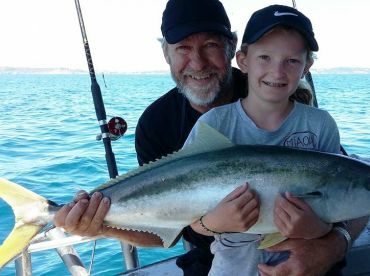 Whatever time of year you come to fish, you’ll find that Ultimate Charters are true to their name. 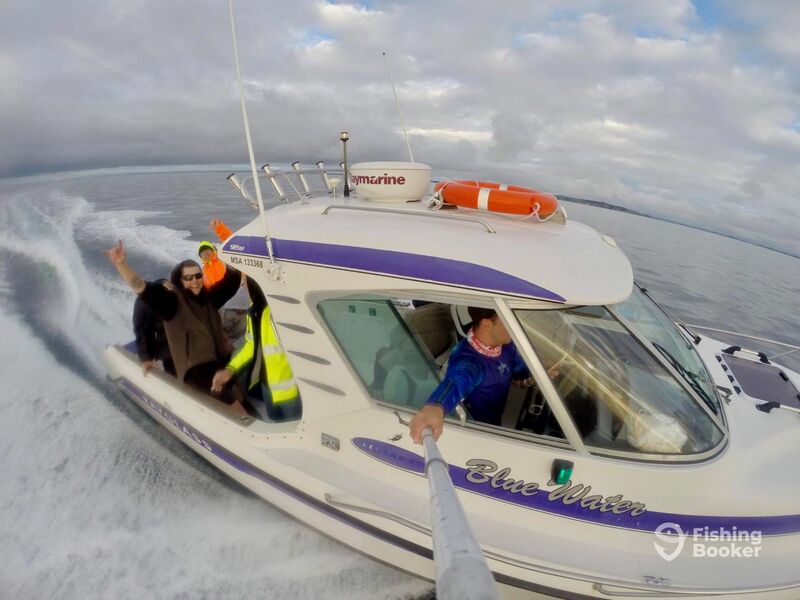 Providing top of the range boats and instruction, they’ll make sure you have a trip to remember–and the photos to prove it! 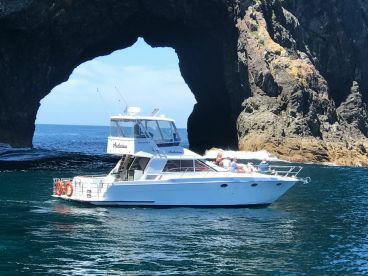 This multiday adventure lets you discover the best of the Hauraki Gulf. 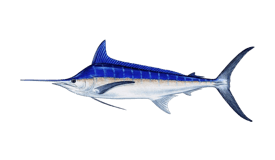 Your target species will include a range of bottom dwelling reef species, including large Grouper, big Yellowtail Kingfish, numerous Tuna species and Marlin (mainly Striped Marlin but sometimes Blue and Black) when in season. Accommodation will be at the Great Barrier, costing from $70NZD per person. Food is additional and tailored to requirements. 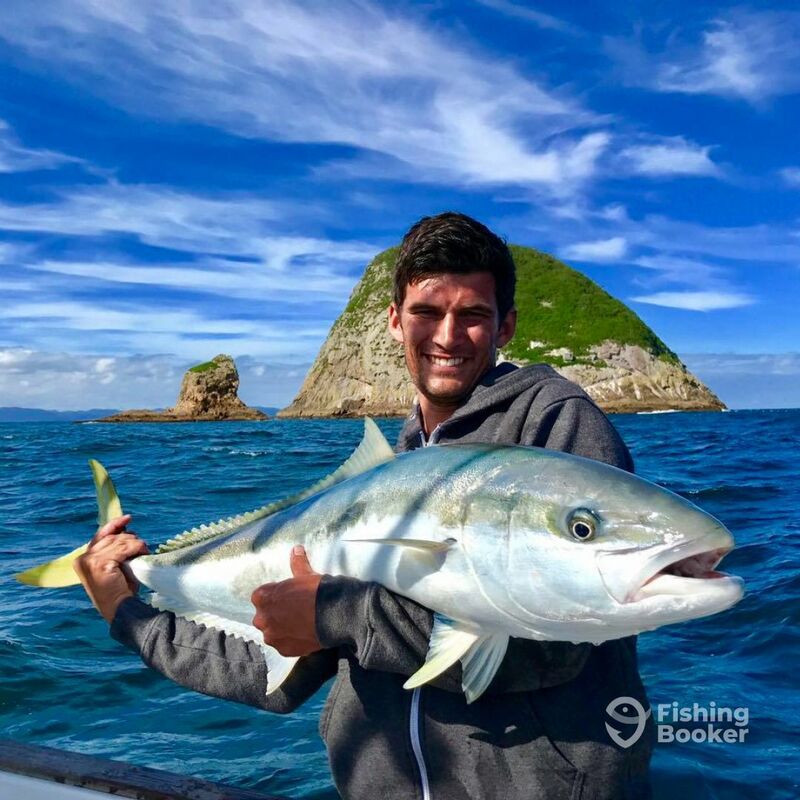 Rods and tackle are available at $28NZD per person, while bait is $23NZD per person. 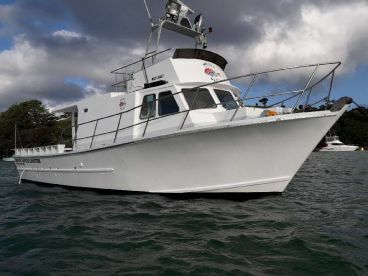 This long range charter gives you more time on the water and access to further fishy spots in the Hauraki Gulf. 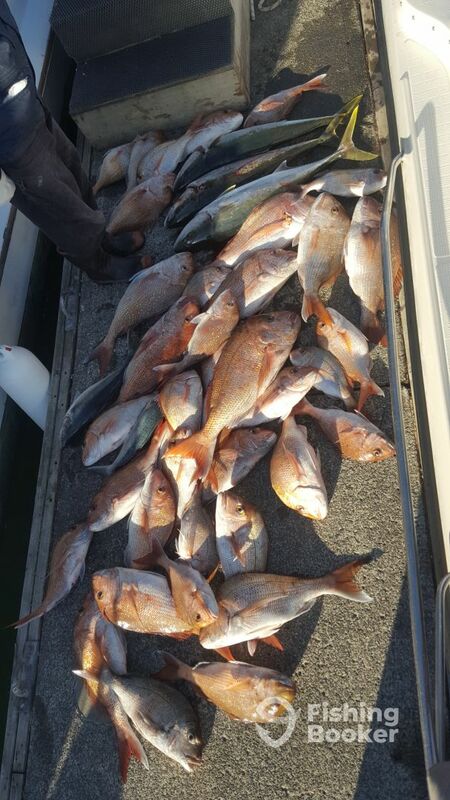 You will be targeting Pink Snapper and huge Kingfish, among many other species. Rods and tackle can be supplied at $28 per person if required, and bait is available at $23 per person. Ice is free of charge. 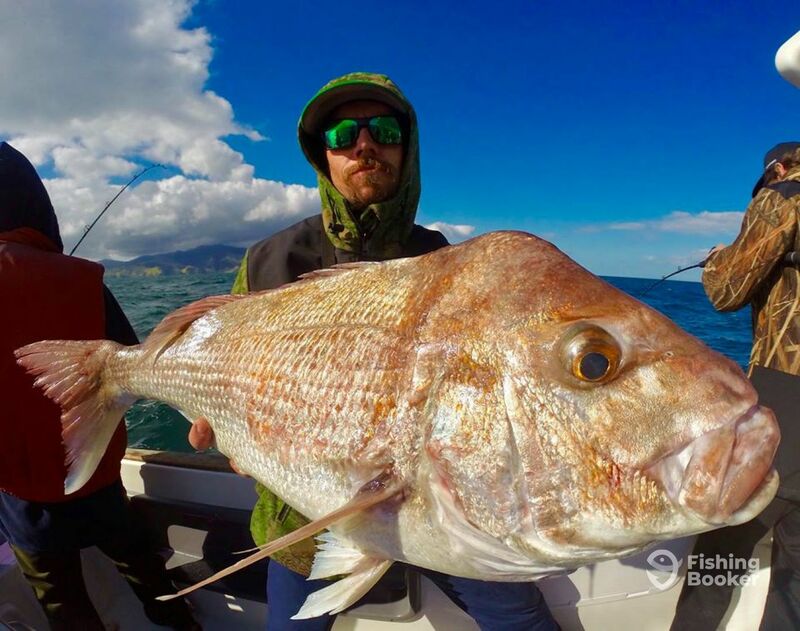 This Hauraki Gulf charter will take you out to target Big Snapper, among many other species. 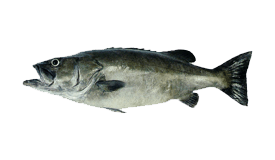 All gear and bait can be supplied at an additional charge if required. 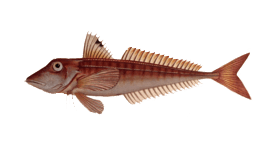 Rods and tackle are $28NZD per person, bait is $23NZD per person, and ice is provided free of charge. 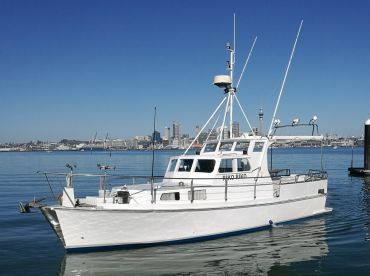 This 6 hour charter will take you out to the Hauraki Gulf. 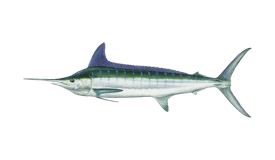 Fishing in the afternoon, you'll get to try the awesome evening feeding time, which is very productive. 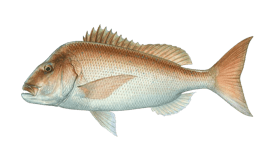 Your main targets will be enormous Pink Snapper, and many others. 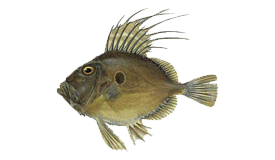 If you require gear and bait, this is provided at $28 NZD per person for rods and reels and $23 NZD per person for bait. 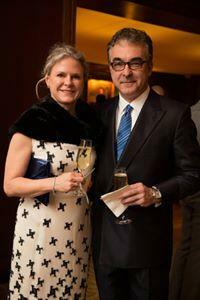 Ice is provided at no additional charge. Rayglass (Performance fishing) построена в 2001. Мотор – 315HP Yanmar мотор, максимальная крейсерная скорость – 24 узлов.